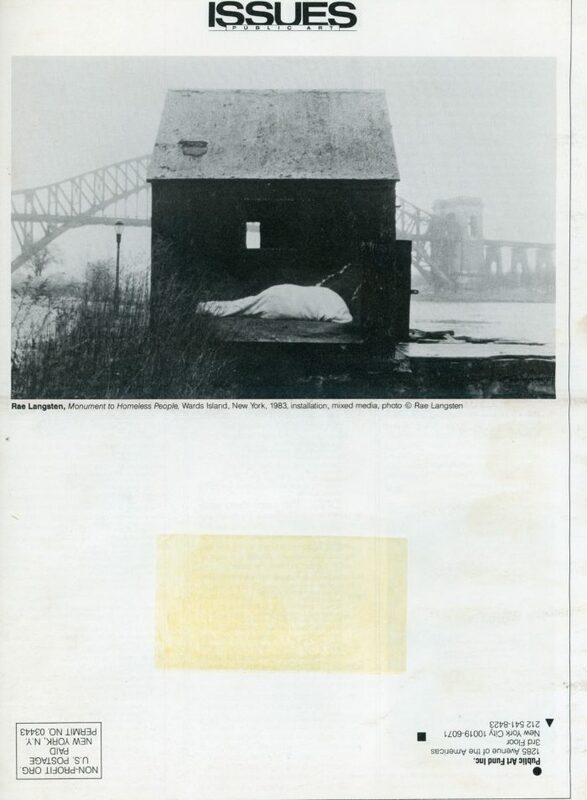 Issues Public Art newsletter published by the Public Art Fund, Winter/Spring 1989 edition. 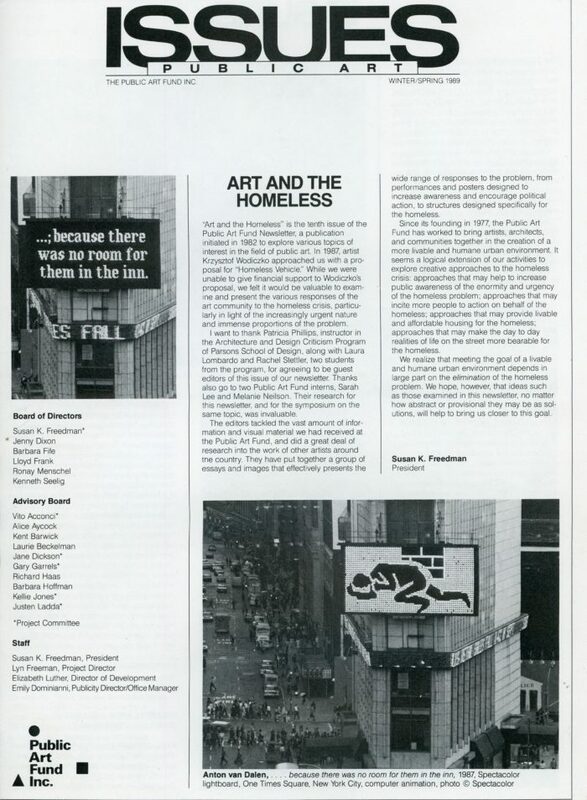 Features multiple articles and images regarding Art and the Homeless. Featured artists include Aton van Dalen, John Fekner, Jerry Kern, Mary Ann Dolcemascolo and Ann Marie Rousseau. 16 pages. 9 x 12in.